Sometimes it’s difficult to stay present with technology that’s seemingly so futuristic. 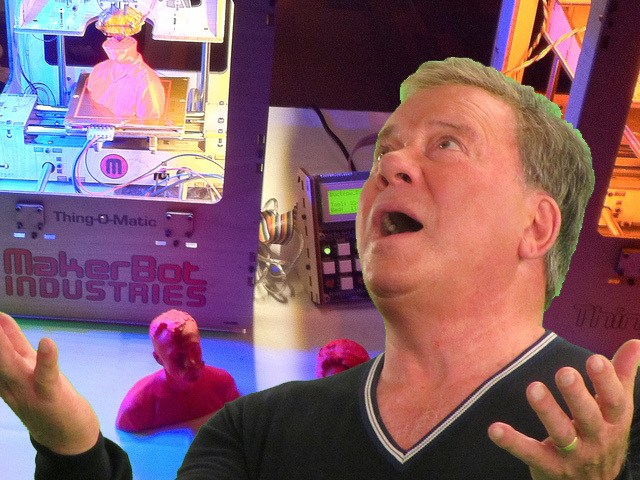 The most amazing aspect of 3D printing isn’t that tomorrow we’ll be printing our dinners in outer space (we won’t be), but that it’s given us license to dream so wildly. 3D printers are unlikely to become a household appliance in the near future or ever (after all, how many people today own regular printers? ), but they are sure to continue inspiring creativity and innovation. 3D printers are, as Steve Jobs might say, a bicycle for the mind. Well said, Freddie. Well said.